In the last few days anime forums have been going hype over the September cover of the Seiyuu Grand Prix magazine which features the 5 main seiyuus of Free! cosplaying as the characters that they voiced. @nanaya1974 compared past magazine cover photos that featured seiyuus "cosplaying" (or at least holding the same pose) as their characters of their respective anime. An extra bonus photo for Tiger & Bunny fans. 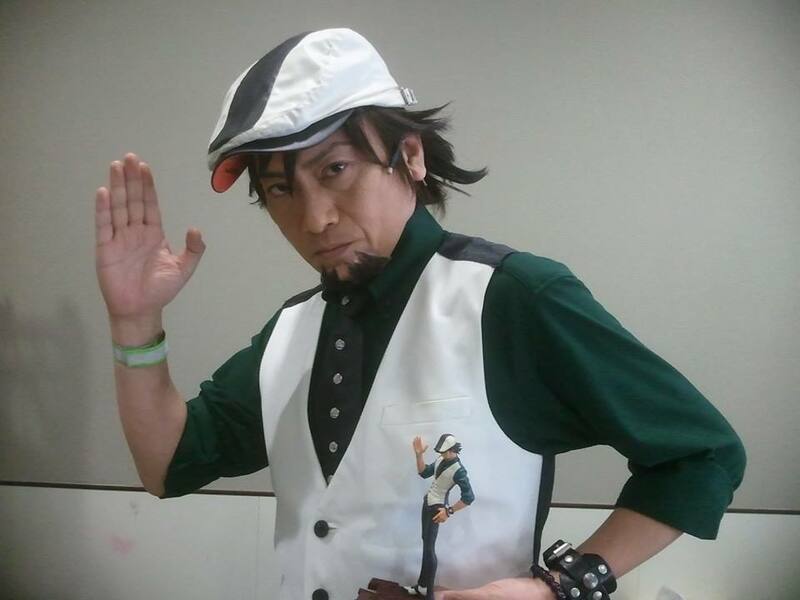 Here's Hirata Hiroaki cosplaying as Kotetsu, the character that he voiced. 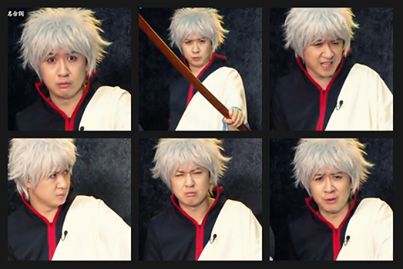 Lastly, let's not forget our comical Sugita Tomokazu cosplaying as Gintoki from Gintama. Xperia Miku themed phone gets an ad!